I recently subscribed to Jalam Tea’s monthly deliveries, and since the current month’s bing was already sold out, I received a hoard of samples of previous puer selections. Last week I had a go at the Meng Song. 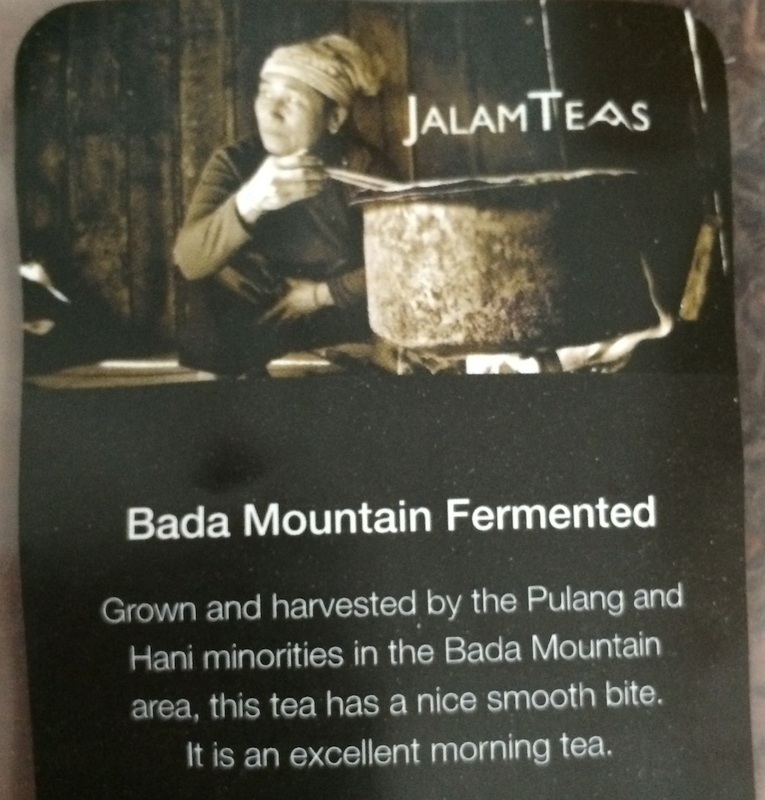 Today I tried the 2012 Bada Mountain Fermented (it seems that Jalam refers to their Shou puer as “fermented” and their Sheng as “unfermented” or with no classifier). First I love that Jalam has a whole page and several videos dedicated to each tea. It really makes learning about the tea and its origin a fun experience. Location and skill of the producer are really what sets different tea apart, especially with Puer, but it’s so difficult to learn about those things from even respected vendors, East or West. 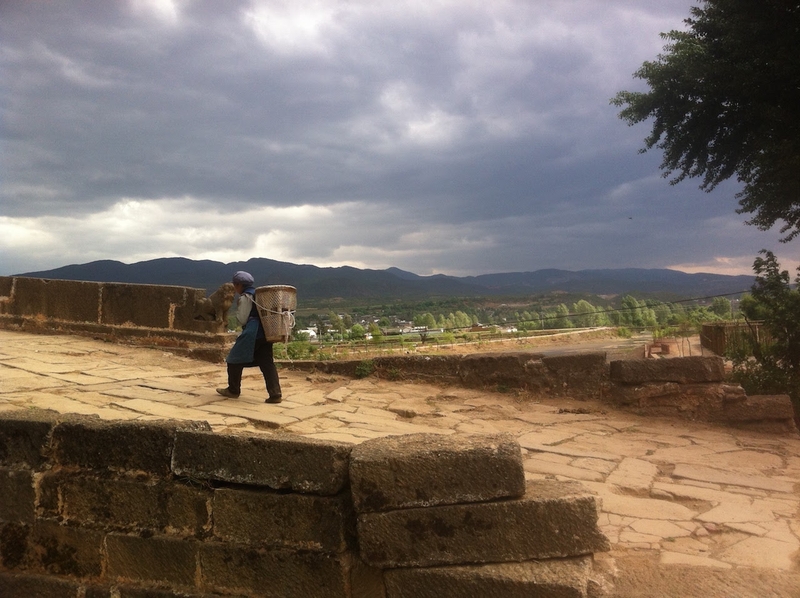 The best thing is to visit the producer yourself or taste a whole lot of tea to get to know a factory. What Jalam offers is a good compromise: inexpensive, decent amounts of tea from unique regions and a full page of info about where it came from. Stéphane at Teamasters offers a similar experience with tea from Taiwan (mostly oolong), although somewhat less formally. His packages always give the precise location and date of harvest, which is a rare treat. 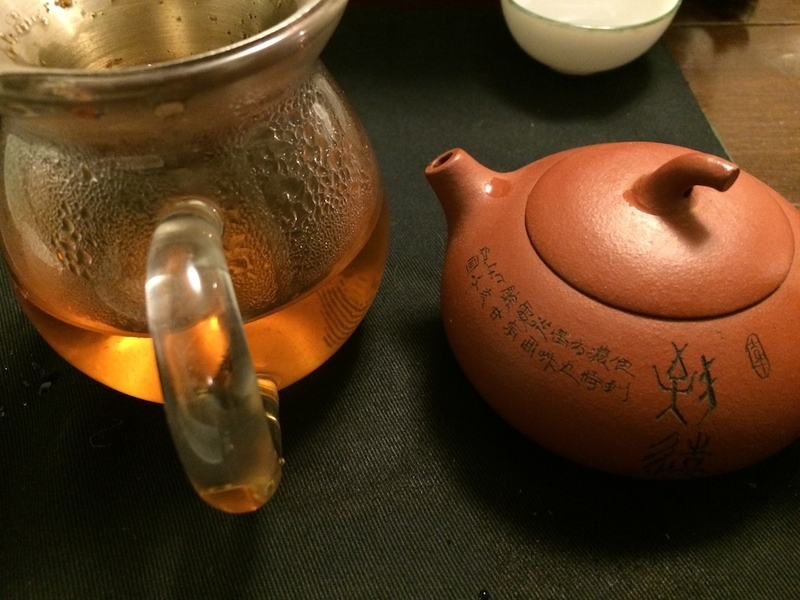 This Puer really surprised me, which is not easy for a Shou. I did a double sniff-take when I smelled the damp leaves. The aroma was so unusual: really rich in a dark plum sort of way that reminds me more of a black assam than a Shou Puer. Certainly there’s the character of moss and peat that I hope for in such a tea, but this has something more intriguing. After slightly bungling my last attempt with these packages, I resolved to make a more careful infusion. 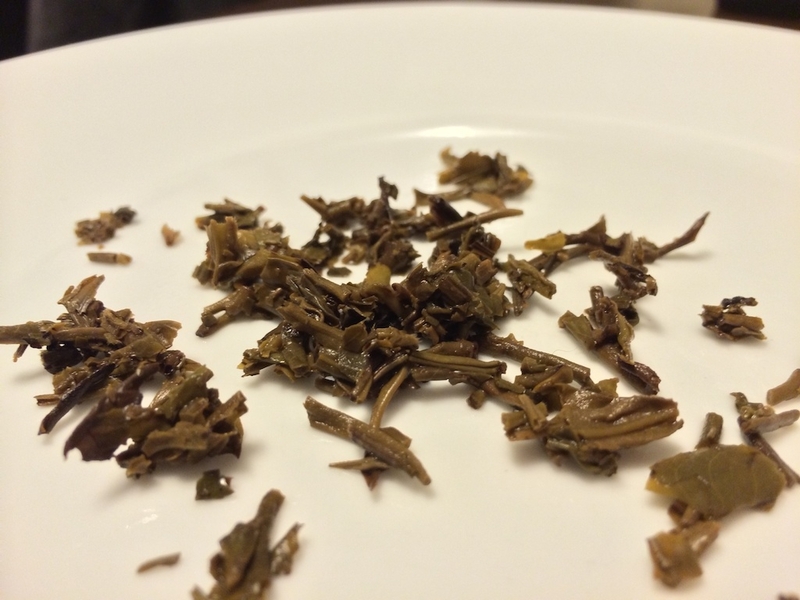 I used a gaiwan to ensure control and I used only 4 grams of leaf since the packaging of the samples caused a little more breakage than would have occurred in a cake. If I were making this from a bing, I would probably use my usual 6 grams and maybe infuse a little longer. The taste has some of the bite I associate with Assamica leaf, which makes sense since the cultivar used for Puer is a large-leaf relative of the tea grown in Northern India. But saying it tastes like a black tea is a inaccurate description; it’s not really astringency that I taste — which is what I imagined when I read about the “nice smooth bite” on the package — it’s more of a brightness or zing in the mouth. Even using that term is complicated, though. Usually when I speak of a bright assam black tea, there’s a kick of potency close behind, but there is no kick here. Like the label says, it’s smooth all the way. After 6 infusions the flavors were still going strong. I could probably drink this tea all day. In fact, I picked it up several hours later and made about 4 more infusions before the taste began to plateau. I’m not sure that I would head for this tea all the times that I’m feeling in the mood for a Shou Puer. It has fewer of the stomach-soothing properties than my other bings. I would probably enjoy it more as the package suggests, as a morning tea to wake up the mind and body without the potency of an Assam or Darjeeling. 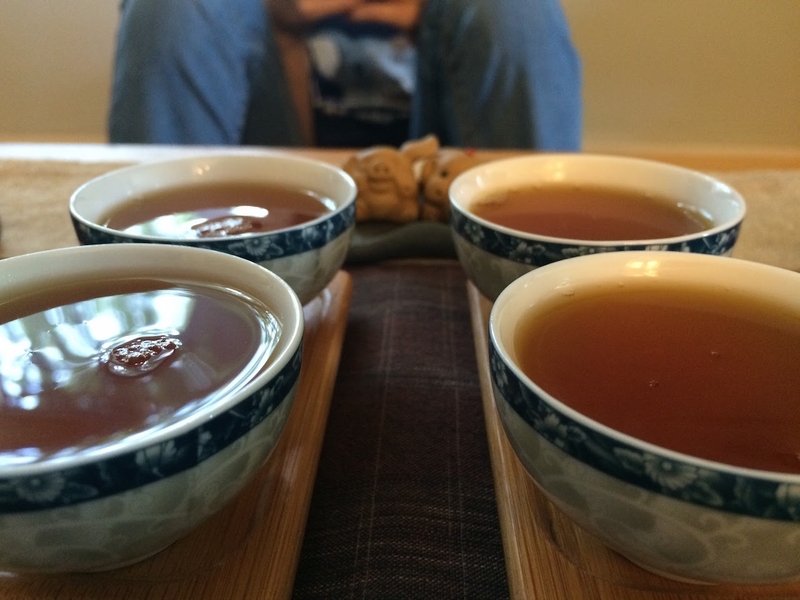 Altogether it has been quite a fascinating experience to taste yet another quality that Puer is capable of exhibiting. The world of tea is truly never completely mapped. 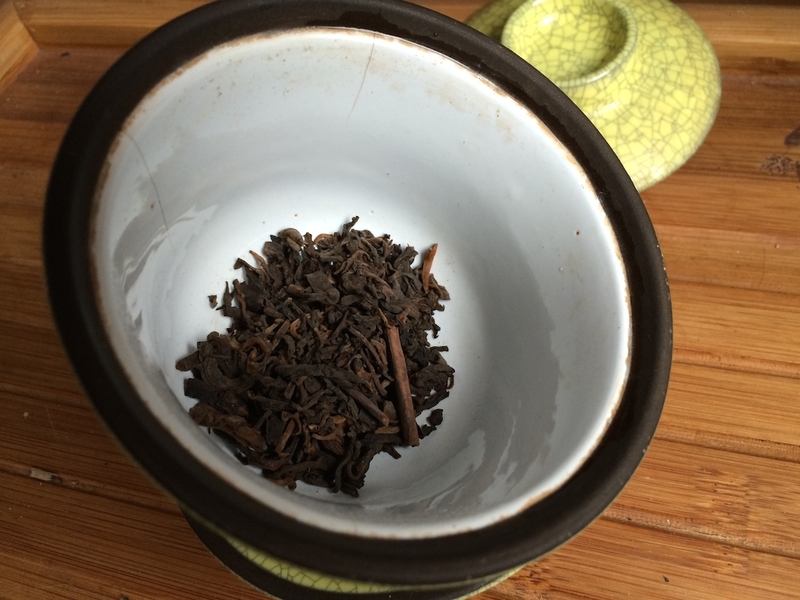 This entry was posted in Tastings and tagged china, jalamteas, puer, yunnan on March 20, 2014 by payton. Twice now I’ve had the wonderful experience of tasting this Sheng puer, another sample sent from TeaVivre. Both times I’ve been very pleased with the result. This tea held a special interest for me since I’ve visited tea factories in Fengqing before, but never one that produced Puer. The city is known mainly for its Hong Cha (black tea). 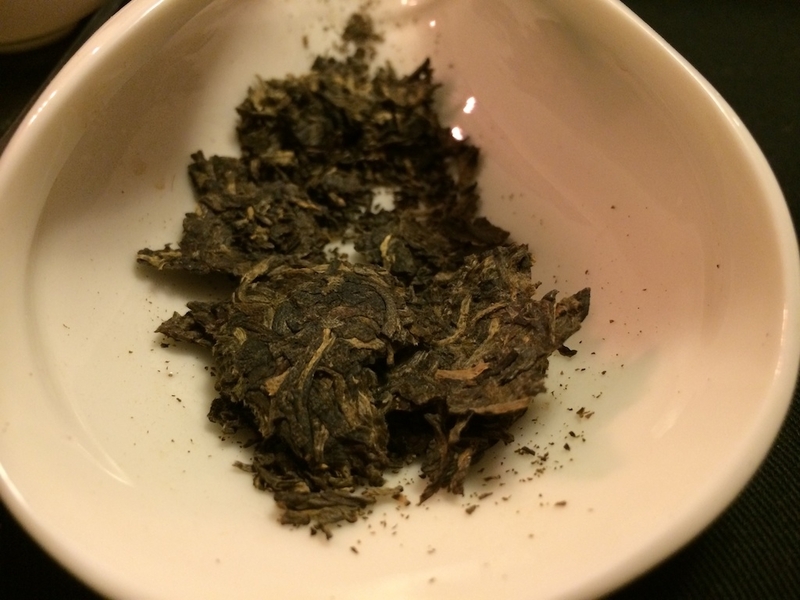 Even though it was delivered in a sample pack, the leaves were noticeably from a Tuocha, one of the traditional shapes of Puer cakes. I’ve tried to translate Tuocha (沱茶) many times, but it doesn’t really have a literal translation. It apparently only has meaning when referring to this particular bowl-shape of tea. 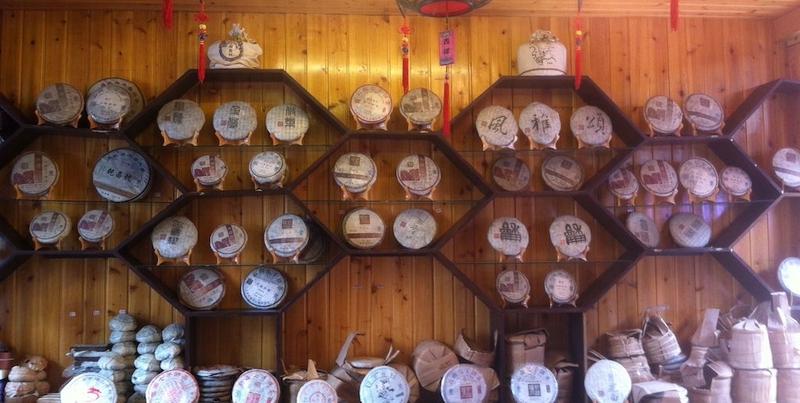 From what I understand of Puer aging, it’s important for all the leaves in a pressed tea to remain near to the air, so you’ll notice that in all cakes intended for drinking there are no sections thicker than about 3 to 4cm. I say, “intended for drinking”, because there are many decorative cakes out there which are made to look nice and are not really for consumption (the “ingot” and “melon” shapes, for example). 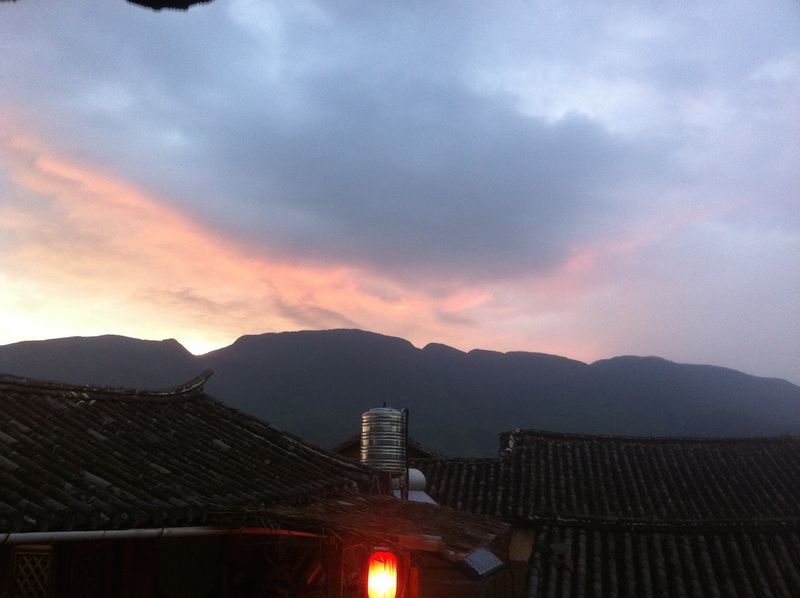 This allows all the leaves to continue to benefit from the fermentation processes that make Puer what it is. If a section is too thick, the leaves inside would either dry up and cease to age or possibly retain too much water and start to rot. If I’m right, in a Tuocha, the bowl shape allows for a fairly sturdy and compact construction, like a ball, but without overly increasing the thickness. The aroma of the orange infusions was deeper than I expected, bringing to mind oak more than the cedar scent that I often find with young and middle-aged Sheng (I consider any Sheng Puer less than 5 years old to be “young”, and more than 10 years to be “old”). This was the first sign that I was getting a tasty cup. Starting with about a 10-second infusion, the flavor was very smooth and round with more of that oak character. It had a dryness to it that pervaded the mouth, but it was a pleasant dryness, akin to the feeling of a Bordeaux wine. The taste reminded me actually of another one of my favorite Sheng cakes, coincidentally from the same year: the 2006 Lao Shu Bing Cha from Dobra Tea (alas, no longer available in that year). Infusion after infusion produced quite lovely aromas and taste. I wasn’t counting, but I believe that I made around 15 infusions of 5 grams of the leaf before it devolved into a yellow broth. Occasionally I detected a strong punch of astringency when I infused the leaves for a bit too long, but that’s true of nearly any Sheng Puer, and is a good reminder to pay attention to the timing of my tea. When the tea was spent, I found that the leaves were very small and fairly broken. 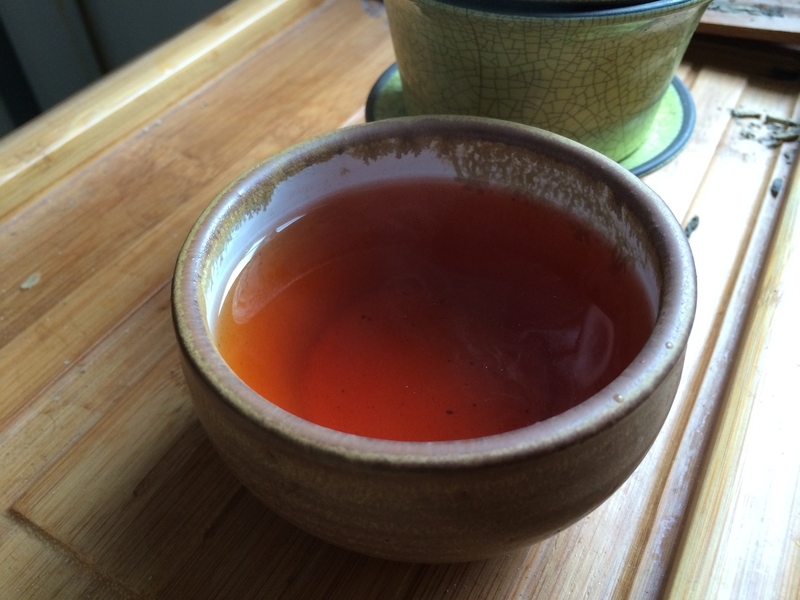 In other styles of tea, this can be a sign of a lower quality, but Puer is a special case. Firstly, there was a consistency in the leaf sizes. 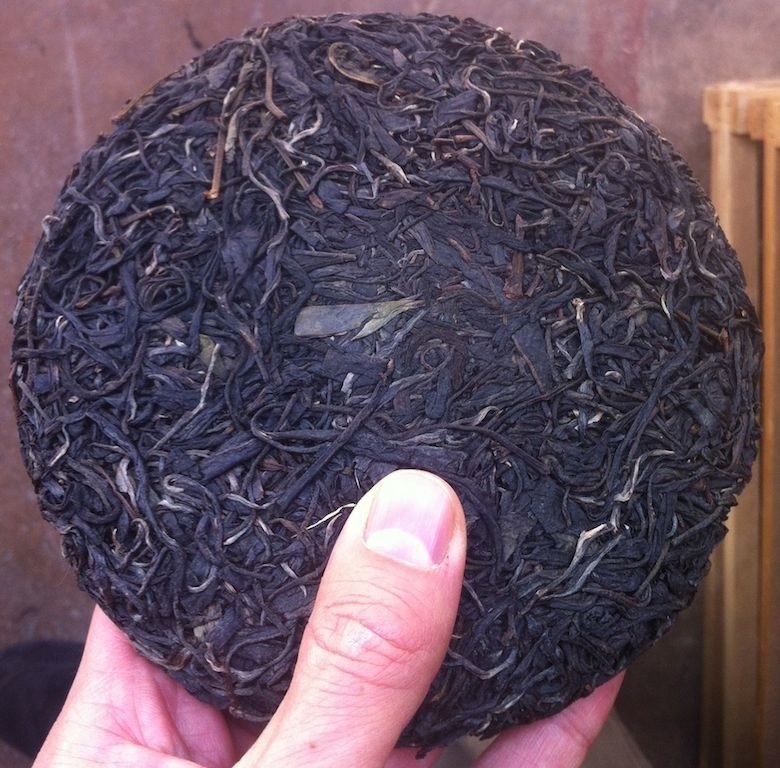 Puer manufacturers occasionally will cover the outside of their cakes with nice large leaves and fill the inside with tiny pieces to make the tea more marketable. This tea was honest with its leaf size, an excellent sign that allows the tea brewer to judge how best to infuse based on sight alone. Secondly, Puer is “graded” by leaf size, and unlike their non-fermented cousins, smaller leaves don’t necessarily mean less pleasant tea. I have a feeling that the pressing process itself has a lot to do with this phenomenon, as the leaves are much less likely to “bleed” away their flavors while in the air or in the pot. I may order some of this tea for myself for a later date. That’s one of the great benefits of Puer: being able to save it for a rainy day, and it will only get better as it waits. 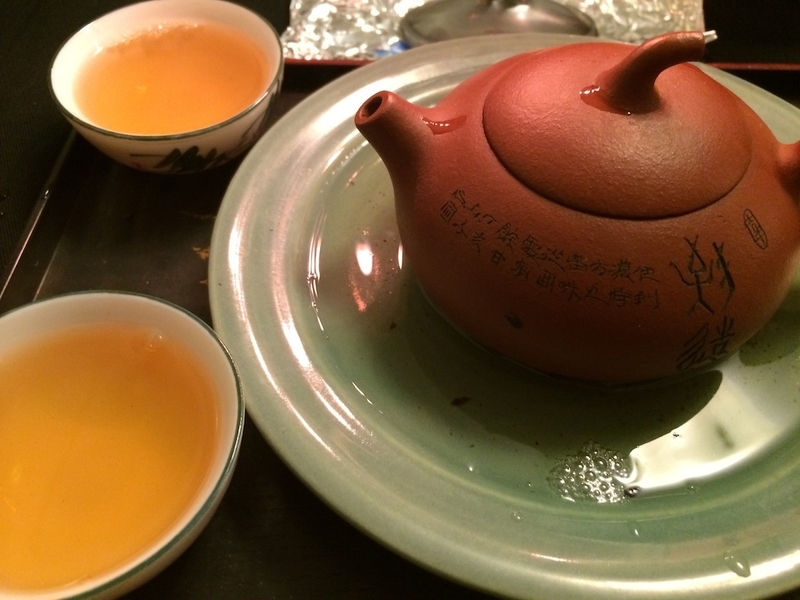 This entry was posted in Tastings and tagged fengqing, puer, sheng, yunnan on December 6, 2013 by payton.